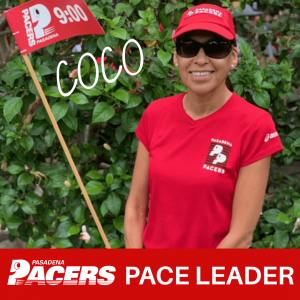 Learn more about the Pasadena Pacer’s LA Marathon training program. Join Team 9’s closed Facebook group. How long have you been with the Pasadena Pacers? 4 years. Why do you run? To keep fit. Favorite post run snack/ meal? Avocado toast with fried eggs. Running mantra: You’ve got this. What do you do for fun? Food, wine, and travel. Anything else you’d like your fellow Pacers to know? You will be surprised how much people share about themselves while running. How many marathons have you run? 10 (including LAM 5 times, New York & Chicago). Will run Marine Corps Marathon next month in Washington D.C. Favorite post run snack/ meal? Waffles, eggs or egg whites and potatoes. Running mantra: You Got This!!!! What do you do for fun? Aside from running, I like hiking. 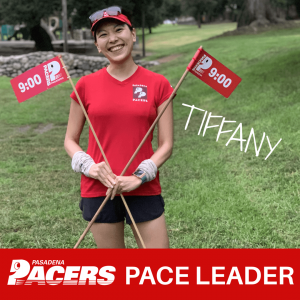 Anything else you’d like your fellow Pacers to know? I love to travel, and I’m a huge Dodgers fan. GO BLUE! !